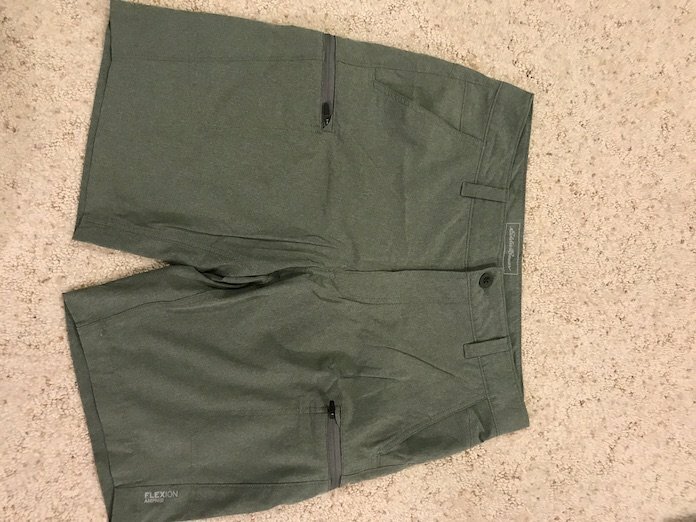 I purchased a pair of Eddie Bauer Amphib hiking shorts for my 2017 travel adventure. 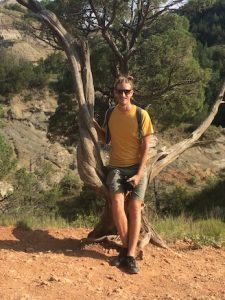 This trip consisted of mostly hot climates with dense jungles and I wanted a sturdy pair of hiking shorts for the underbrush. 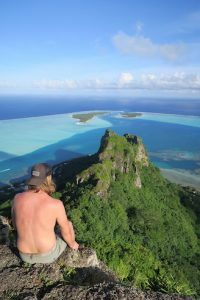 The island of Maupiti in French Polynesia is epic! The Eddie Bauer Amphib hiking shorts are made out of polyester and spandex meaning they stretchable, water resistant and odor repellant. Like everything that Eddie Bauer makes, these shorts seem to be designed with durability in mind. They can withstand a lot. 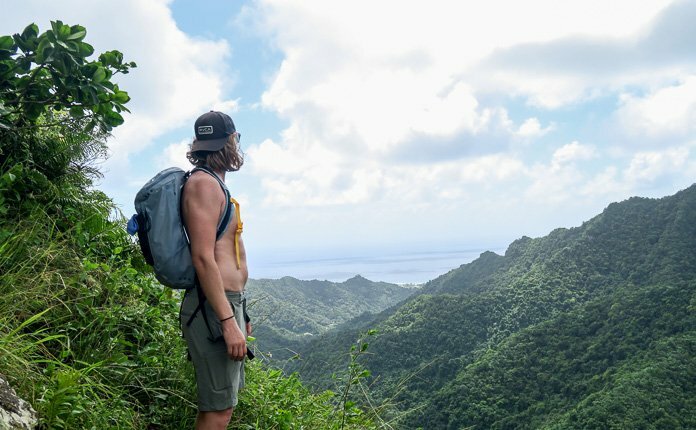 Mine held up to snags and tears, from underbrush and rocks, hiking throughout the South Pacific. 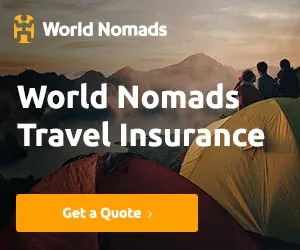 Two mesh front pockets plus two side zippered gear pockets and one back zippered pocket gives you ample carrying space. I like the side zipper pocket for quick access to my phone but having this many pockets could weight you down, if you use them all. Which brings me the downside of the Eddie Bauer Amphib hiking shorts, weight. These shorts are constructed extremely well, which means they are heavy. 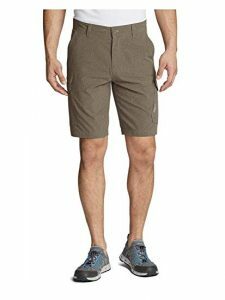 They are still lighter than actual cargo shorts but heavier than most other athletic or hiking shorts. 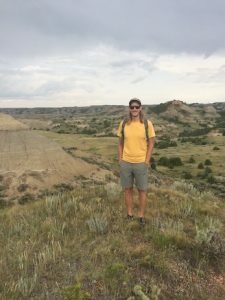 Having purchased the Eddie Bauer Amphib hiking shorts with the idea in mind that they would be my go-to travel short, I forced myself to wear them hiking more for the fact that I wasn’t wearing them otherwise. 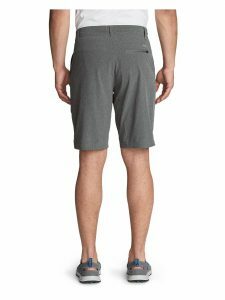 By the midpoint of my trip if I was walking around all day or going for a quick hike I would just toss on my RVCA shorts, I practically lived in these, because they were lighter and more breathable for the climate. 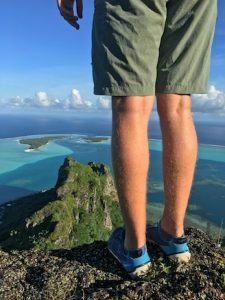 The Eddie Bauer Amphib hiking shorts are fantastically designed but they are a little overkill for lightweight backpacking and travel. Durably constructed, these shorts will last a long time but this extreme ruggedness adds extra pack weight. With the baggy cargo design, these shorts take up over a third more space than my RVCA shorts. 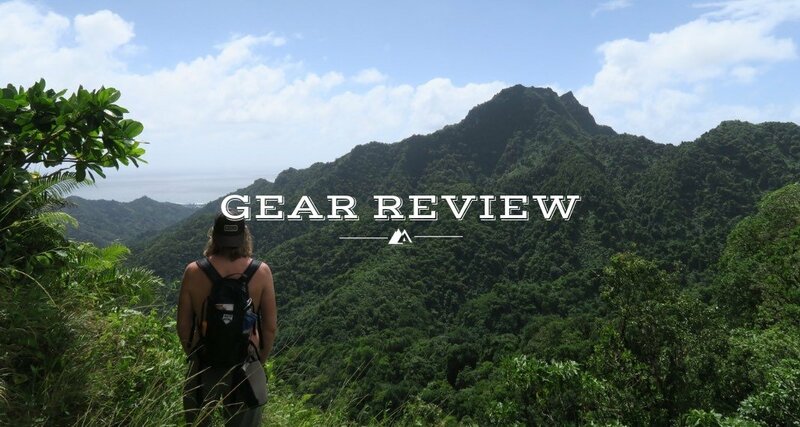 For pack reason and weight alone my Eddie Bauer Amphib hiking shorts wont make the lineup for future backpacking adventures. They will be my go-to shorts for hiking around home where I don’t really worry about size or weight. 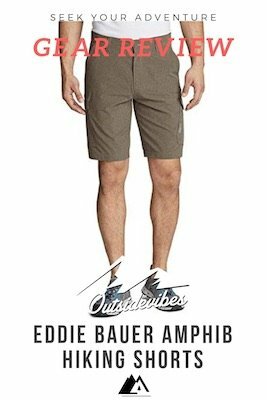 Wild Update: Looks like Eddie Bauer updated their Amphib shorts for 2018 with a slightly more streamlined design. It looks like they have less loose fabric, ditching the cargo shape for a more form fitted one. They got rid of the zippers on the side pockets and changed up the shape. This new design might be more packable and weight friendly.